5mts high. 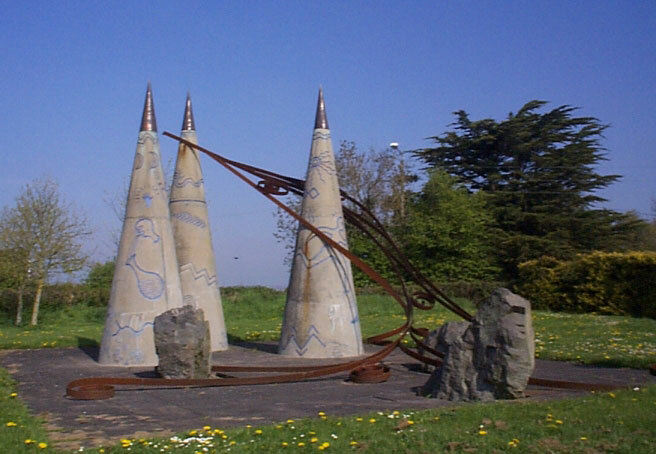 The Source was commissioned by St Oliver’s Community College, Drogheda, Co Louth. 1989. Cast concrete, pigment, copper and Corten steel.